I have two favorite wash off masks from SkinFood, namely Black Sugar and Rice. Naturally, I would love to extend trying out others in their lines. I tried the Ancient Rice, but I find the moisturizing effect too rich for me. In my opinion, the Black Sugar mask provides the right moisturizing and nourishing level that's aptly suited for my combination/sensitive skin type. Since I'm not yet in need of new skincare lines, I decided to go for the cleansing oil, which I'm in dire need because the combination of both waterproof mascara and gel eyeliner is just so darn difficult to remove. Although, I wanted to go for something versatile, so I went for a multi-purpose cleansing oil, and Black Sugar tops the list. So I made sure to include it in my Korean Cosmetics haul. 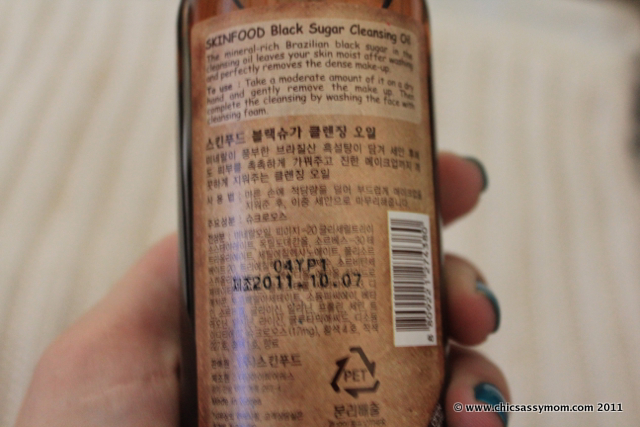 SkinFood Black Sugar Cleansing Oil sells in Seoul for 9,700+ KRW. 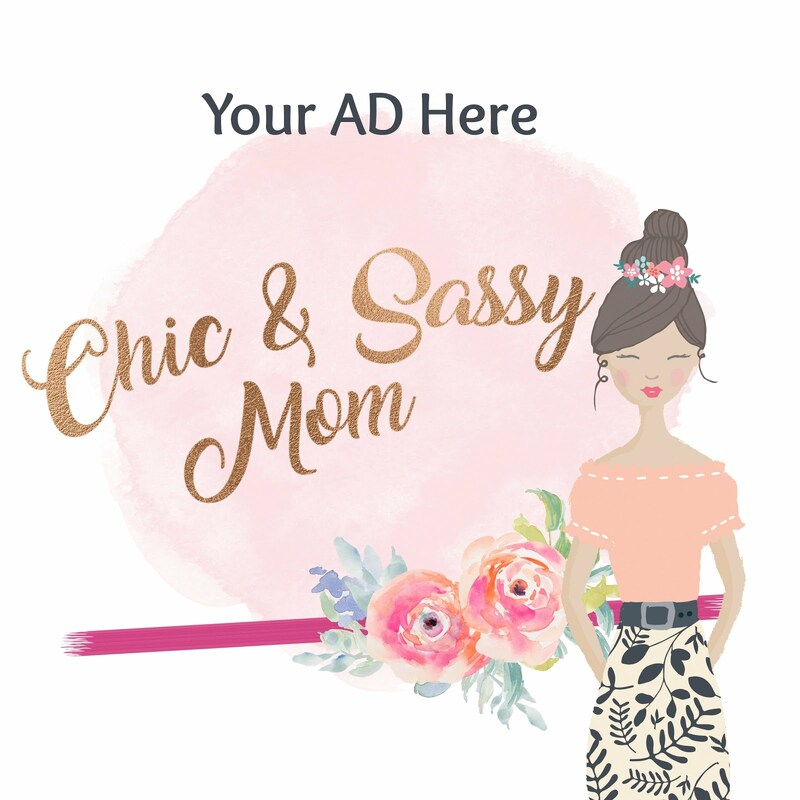 Product Description: The mineral-rich Brazilian black sugar in the cleansing oil leaves your skin moist after washing and perfectly removes the dense make-up. How to use: Take a moderate amount of it on a dry hand and gently remove the make up. Then complete the cleansing by washing the face with cleansing foam. It's a different story for cleaning out waterproof eye makeup. Together, the Majolica Majorca's mascara and Skin Shop's gel eyeliner proves to be extra challenging to remove. Using side by side two waterproof eye makeup is proving to be taxing. I have very sensitive eyes to begin with, so I needed something with a mild formula, but with far greater potency in removing dense makeup. 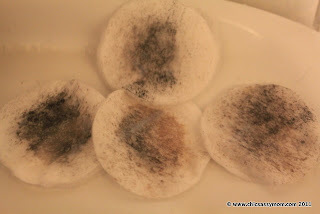 What I did, was to soak the cotton pads with the cleansing oil. And patched them on both my eyes shut close, then leave them for about 20 seconds. I checked. There's still some left. As much as possible, I don't want to do a lot of rubbing, and pulling. I used the alternate side of the pads, then left them for a little bit longer. I checked. There's still some left. Please note that this is already way better compared with what I'm using for mascara remover, to think it's even a dedicated mascara remover. That much eye makeup on my eyes! With my impatience getting on the way, I rubbed off the pads to my eye area. My mistake was I actually kept my eyes really wide open, that's when they got cloudy, albeit without stinging. I panicked a bit. But I swiped the pads as gently as I could, until I was satisfied. I finished it by washing with SkinFood Wildberry Milk Cleansing Foam. Overall, I'm such a fan of SkinFood. So I was happy with my purchase. I love the added nourishing benefits of the cleansing oil. Cleaner face without the drying, or otherwise greasy feeling from an oil-based cleanser. There's no breakouts too. I'm also loving the pump spout, which makes dispensing easier and hygienic too. Every now and then, since I'm out of Black Sugar Mask, I'll massage, and keep the oil longer, that is when I'm not sporting heavy eye makeup. I'm lamenting the cloudy vision, that's why I make it a point now to keep my eyes just half opened if I really wanted to peek. So far, I didn't had any cloudy visions mishaps. Even with the cloudy vision mishap, it's surprising that there was no stinging or eye reddening at all. Except, that next time, I'll be sure to keep my eyes as shut as possible when cleaning them. Very good kit for cleaning the face, thanks for sharing! Waah. I also have a problem with removing eye makeup lately. 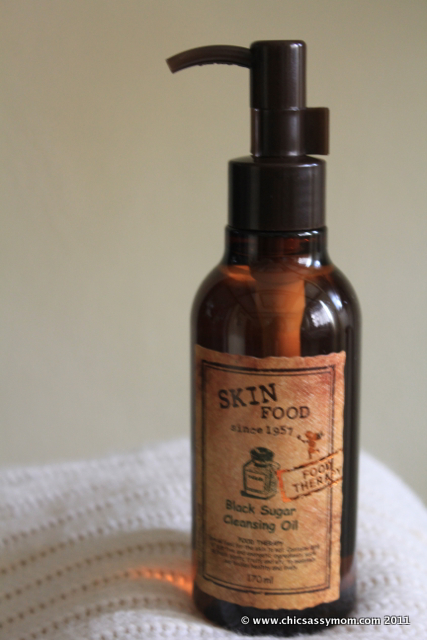 :( I am so bad to my eyes because I end up rubbing them ~_~ Is this the best cleansing oil you've tried so far? Skin Food is insanely expensive from the malls. 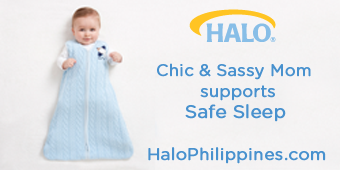 *sigh* One of these days I might order this online because I prefer to not hurt my eyes. 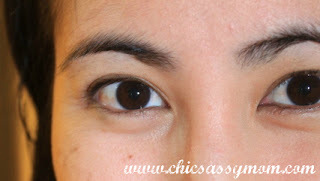 The Maybelline Lip and Eye makeup remover is not enough to remove K-Palette's real lasting eyeliner. i almost purchased this one in my last haul..but instead i chose innisfree apple cleansing oil. 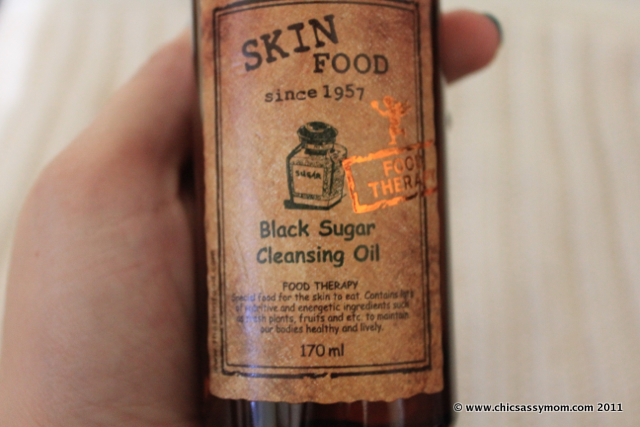 i was wondering why this black sugar cleansing oil more expensive than others..